It's been four days a deadly plane crash occurred and the identification of the victims the tragic incident have finally been found by the authorities. According to the Los Angeles Times report, authorities told media on Wednesday, February 6, that Roy Lee Anderson, 85, his wife, Dahlia Marlies Leber Anderson, 68, and their two relatives, Stacie Norene Leber, 48, and Donald Paul Ellitot, 58, were inside the home when the accident occurred. 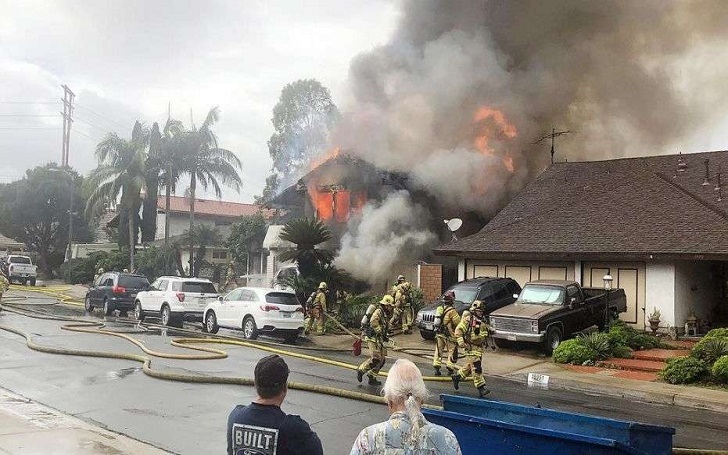 The twin-engine Cessna 414A plane fell into the two-story home in Yorba Linda, which is about 35 miles southeast of Los Angeles, at 1:45 p.m. on Sunday, February 3. The plane took off from Fullerton Municipal Airport at approx. 1:35 p.m. and after flying for 10 miles, its tail and wings came off. In a dashcam video obtained one day after the crash, the plane can be seen on fire while falling from the sky towards the home. A trail of dark smoke and flames were visible as the aircraft crashes into the residential area. A source familiar with the investigation told the Los Angeles Times that the crash was not intentional. Antonio Pastini, 75, was the pilot who died in the crash. The Nevada native pilot was reportedly had false police credentials on him. Reality Star Bristol Palin and Husband Dakota Meyer Welcomes Their Third Child, See Pic!